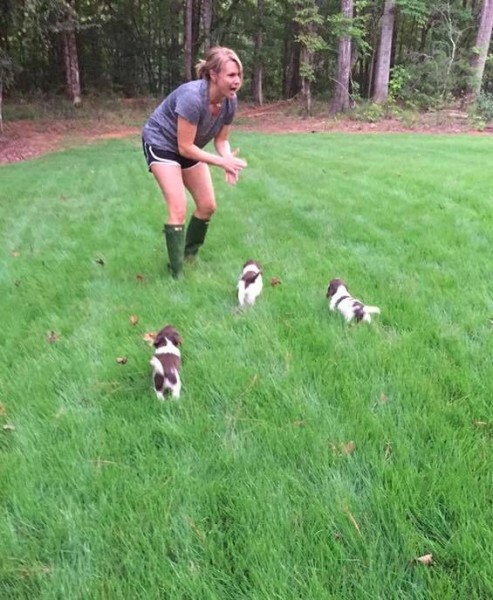 We breed excellent quality AKC registered, field-bred English Springer Spaniels. English Springer Spaniels come in 2 primary colors Black & White and Liver & White. Ours are Liver & White. Our utmost concern is the health of our dogs. We offer a 1 year health guarentee. All of our dogs are OFA hip and eye certified by Auburn University. Our goal is to be one of the best breeders in the Southeast by searching out and bringing together the best field champion bloodlines available in the U.S. Whether you're looking for a pet, a hunting buddy, or both, we have the perfect companion for you. Springers are an incredibly intelligent and affectionate breed. They make great family pets & are also excellent hunters - great for both kids and adults. 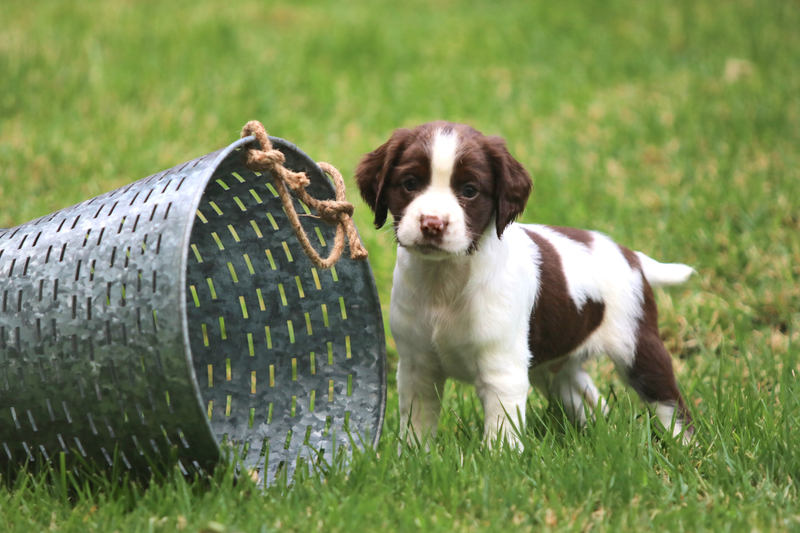 We only breed Spaniels and we are dedicated to the betterment of the Spaniel breed. We breed for excellent quality, wonderful temperments, great personalities, athleticism and beauty. We believe you will never find a dog more loyal, trustworthy, easy to train, and kind at heart. We are located near Lynchburg, VA, less than two hours from Roanoke, Charlottesville, Richmond & Greensboro. 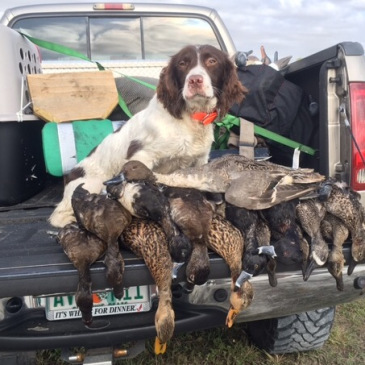 Maddie Girl Murphy is from a top Field Trial and the 1st Orvis-endorsed Breeder in the U.S., PineShadows.com (Brainerd, MN). Maddie is the offspring of Wheaties and Higgins. She is a 35 lb. athletic liver and white female who is eager to please. Her hard-working, never-quit spirit outdoors is matched only by her compliant, loving nature indoors . She is highly intelligent and a fast learner. She's an excellent, attentive mama and amazes us daily. Craney Hill Dudley comes from one of the best training kennels in Georgia Spanieltraining.com. 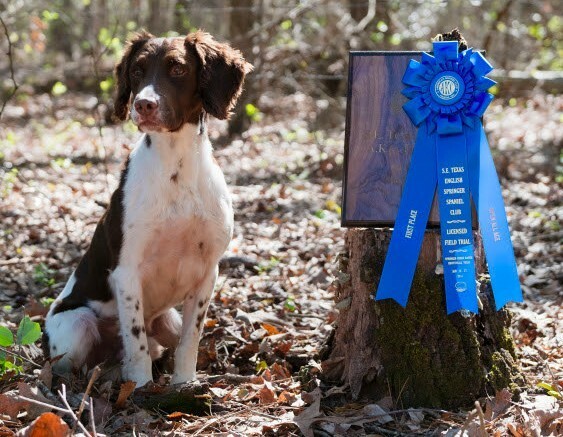 Under the training of Todd Agnew, Dudley has been proven as an accomplished field trial champion. In addition to his perfor-mance, we chose Dudley for his level-headed, obedient nature. He is truly a wonder to behold on and off the field. 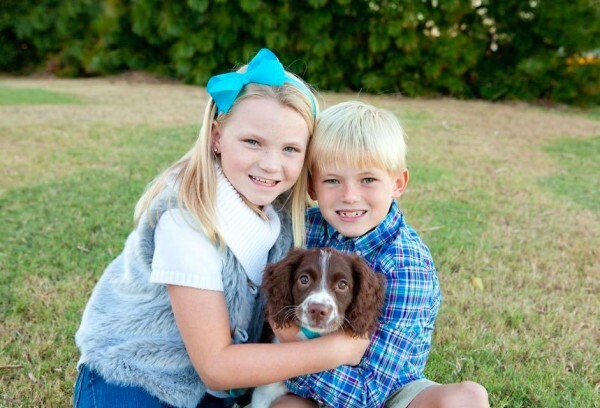 "It would be so nice to see another litter of Jackson and Maddie. Baron has such an excellent personality and he is so attentive and smart, he challenges me! Baron "told" me today he really wishes he had a sister. Let us know when you are expecting the next litter!" We are the Murphys. We value faith, family, great dogs and the great outdoors. We love adventure and each other. We have been blessed to have some of the best dogs on earth in our family and we'd love to share them with you! ​Please choose the contact button at the top of the page to inquire about our current litter or complete our questionnaire to tell us more about your hopes for your next family member! 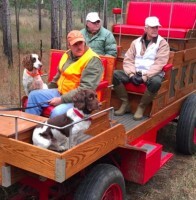 Our family is committed to breeding the best field and family companions in the South. We search long and hard for the most talented, endearing & beautiful Spaniels, bred to be great hunting dogs and family pets. We only choose dogs from the top breeders in the nation. Our dogs are the perfect blend of athleticism, intelligence and affection. 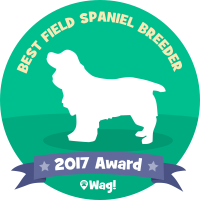 For years, we have enjoyed some of the best Spaniels in the world, and we long to preserve their amazing characteristics and share them with serious dog lovers like you. This is a great opportunity for you to enjoy some of the best-bred dogs on the planet and welcome one into your home!